Tara and Steven’s springtime wedding took place in Scottsdale, Arizona. 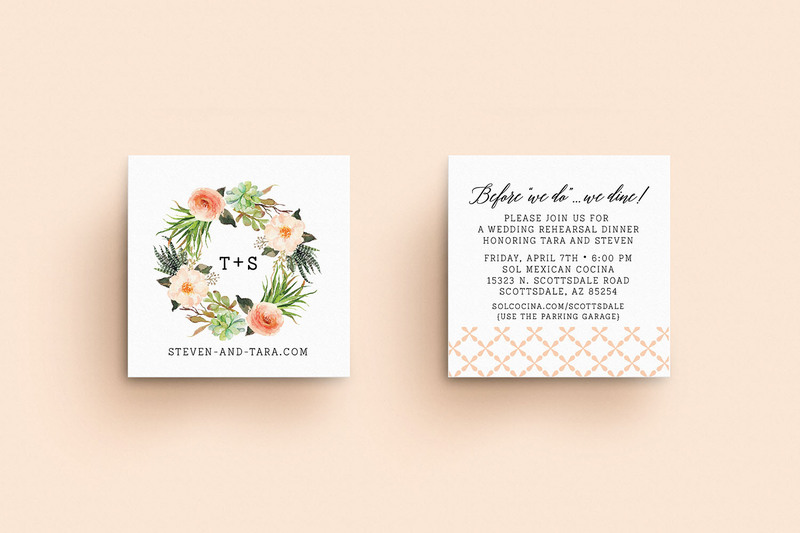 The couple requested personal details as well as desert-chic design. 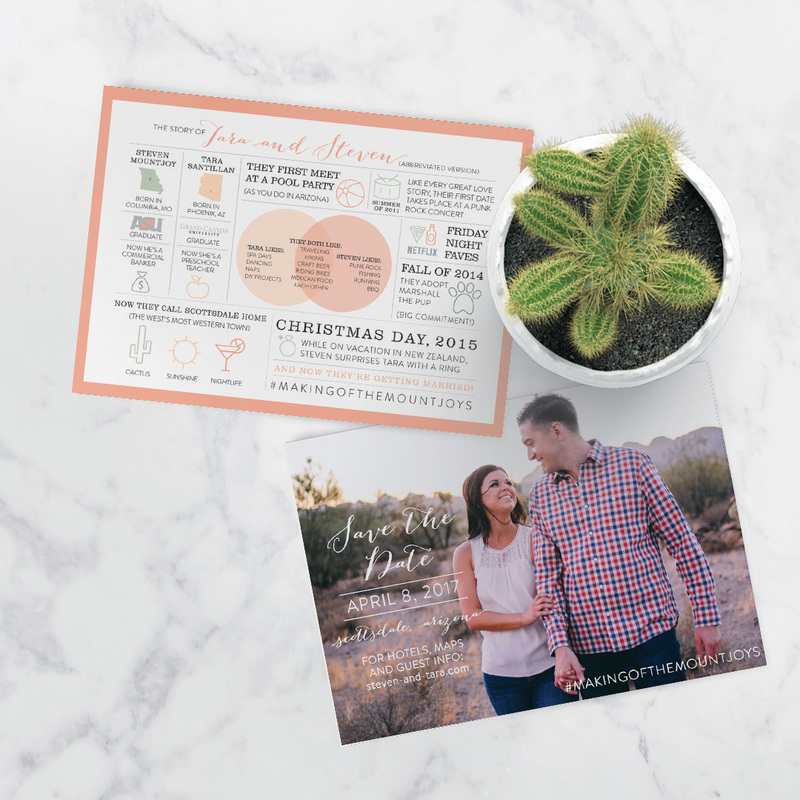 An infographic-style save the date was created to share the couple’s love story and get guests excited for the impending nuptials. The small square cards served as rehearsal dinner invitations and incorporated the same design elements as the formal wedding invitations.